The DEAL of the DAY in the collector car market is a 1957 Ford Thunderbird according to the Cars-On-Line.com newsletter. Picked by the Cars-On-Line.com staff, the classic T-Bird presents as the best deal on the internet based on condition and price. Following the general trend of the collector car market, the market for first generation Ford Thunderbirds has seen declining prices in the past few years. It seems that every week now there is a first generation Ford Thunderbird in our DEAL of the DAY. T-Bird buyers can afford to be picky. So this is one you’ll want to check out. 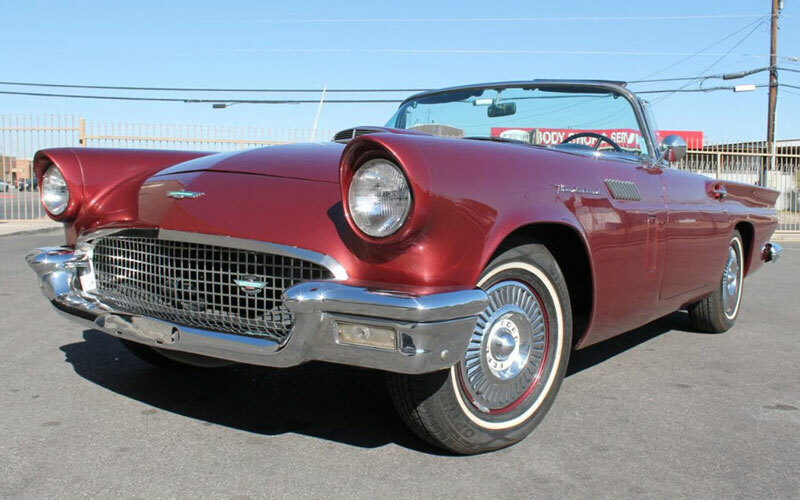 Here is a 1957 Ford Thunderbird being offered for sale by Classic & Collectible Cars in Las Vegas, Nevada. (See more photos with the ad on their website.) They say it is a good driver and a California car with original documentation. It comes with the 312 V8 motor, automatic transmission, power steering, power brakes, power windows, a porthole hardtop, and an engine dress up kit. They describe it as a clean older restoration. Be sure to have it inspected before you buy, but hurry. 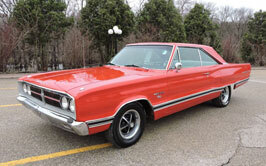 The DEAL of the DAY preview is published every Friday in the weekly Cars-On-Line.com newsletter. Their newsletter is the standard of the collector car industry. It gives you first shot at all the cars that will be highlighted in the DEAL of the DAY feature on the Cars On Line home page during the upcoming week. Often these cars sell in the newsletter before they even make it to the home page! You’ll always see them here first though. For a preview of all of next week’s DEALs of the DAY follow this link to the newly published Cars-On-Line.com newsletter.